Baden has been renowned as a spa resort for 2,000 years. 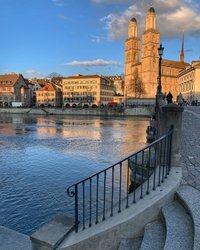 Its thermal springs contain the highest concentration of minerals in Switzerland, and have attracted all manner of people to the town on the bend in the Limmat since the Middles Ages. The thermal waters in Baden are richer in minerals than anywhere else in Switzerland. Around one million liters (over a quarter of a million gallons) with a temperature of 47 °C (116 °F) bubble out of its 18 sulfur springs every day. 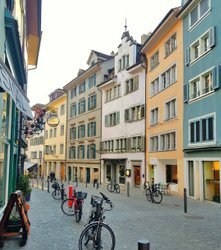 Already back in Roman times, the settlement at the gateway to Zurich was known as “Aquae Helvetica”. Roman legionnaires from the nearby military camp in Vindonissa (today’s Windisch) established the first thermal baths here. These were followed in the Middle Ages by two taverns, several guest houses, and later a number of hotels. Nowadays, Baden bears the “Wellness Destination” quality seal and offers a comprehensive, high-quality range of wellness facilities and services. A new thermal bath complex designed by star architect Mario Botta opens in 2019. 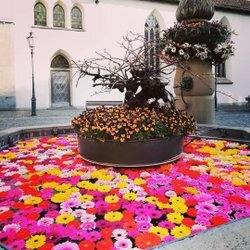 An information center and a city tour provide further information about the eventful history of the health and spa resort of Baden. In addition, the Bagno Popolare Asssociation invites guests from near and far to enjoy a relaxing communal bath in the open-air thermal fountain. Guests seeking relaxation can pamper themselves at the spa at the Atrium Hotel Blume in Baden. Guests can switch off and chill out at the Novum Spa, just a few minutes from Zurich.